When is the 4th Momi Cup supposed to begin? How do you enter the Momi Cup? What are the dates and deadlines for the next Momi Cup? When does the 4th Momi Cup Begin? It’s that time of year when we here at LearnMMD start preparing and encouraging our readership to enter the Momi Cup. The Momi Cup is an annual international festival/competition where MMD-ers of all levels enter original videos. It is the western counterpart to the NicoNicoDouga MMD Cup which is held twice a year. EDITORS NOTE: The entry deadline for the MOMI CUP 4 event was April 1, 2014 … Entrys are now closed. Search YouTube for Momi Cup 4 to see the latest info! I personally love seeing the creativity of all the entrants. 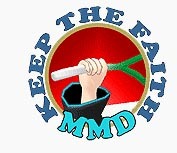 I am also very proud to announce that learnmmd.com (LMMD) will again host the Momi Cup’s Official Webpage. It will be up and running just after the announcement video. Anyone who wants to enter their video can do so by making a video response to the announcement video anytime between January 1st and April 1st (Midnight UTC also known as Greenwich Mean Time or for those of you MMD-ers in the armed forces-Zulu Time). The Momi Cup is open to all levels of MMD-er. I know that it is really easy to talk yourself out of entering. I hear it all the time “I’m not good enough to enter something like this.” “It’s too hard to make original stuff.” “I’ll never be finished in time.” These are just self-defeating circular arguments. Just do it. First of all, it doesn’t have to be an elaborate production. More often than not, using a simple story line for your first time out would be the prudent thing to do. Second, concentrate your time and effort on the animation of your video. Make your model’s motions believable. Just like in Hollywood, filmmakers will hide a faulty story with lots and lots of effects and post-production. Lastly, do a little bit each day. Stella the Alchemist, one of our brightest stars here at LMMD labs, wrote an article about making long animations (It’s here: https://learnmmd.com/http:/learnmmd.com/making-a-long-video-mmd-7-39/ ). This is good advice whenever you’re making a long or short animation. Sources: Cute Room by amiamy111, Default Haku by animasa. A New Challenge for MikuMikuDance Modelers - The Textures from Your Room Challenge! But I wonder- I heard Google + has taken away the option to make video responses on Youtube, so how will it be possible to enter this year?